More surprising out of the two new ministers of the current government of the Czech Republic, whose names have been announced today, is Vladimír Kremlík. He will take on a transport resort that is one of the most difficult. Over the past few years, he has become more visible in the media in connection with cases that are not related to the transport sector. For example, as Deputy Director of the Office of the Government Representation in Property Affairs, he participated in the search for a new owner of Prague’s Invalidovna building or represented the state’s interests in a dispute with activists from the so called Prague Clinic. Previously, in 2007, under the transport minister Aleš Řebíček (ODS), he was the director of his administration. But Kremlík was especially close to the ČSSD politicians. At the beginning of the millennium he worked as a legal adviser to the chairman of the National Property Fund, Jiří Havel, and was also a member of the Executive Committee of the Fund. He served as an advisor to Prime Minister Vladimír Špidla. In 2002, he represented a young social democratic face and a “fresh breeze” after Zeman’s era, when the Prime Minister’s College of Advisors was – in the words of the press at that time – “apparatus riddled with communist functionaries “. At that time, Kremlík was not only involved in the aforementioned National Property Fund, but also in the supervisory board of the East Bohemian Energy, has advised the former Vice-President of the Senate on behalf of ČSSD, Jaroslav Musial, or assisted Prime Minister Pavel Rychetský. Thus, the transport ministry is taken over by an experienced, albeit less visible, harvester of higher political levels. Obviously, the political backstage – with regard to his career so far – has been “well-off”. The question is whether it can be used well in the closely monitored function of the Minister of Transport, where he will not hide for a minute from the interest of the public and the media. His predecessor, Ťok, referred to the pressure of the public as a key reason for his decision to end ministerial engagement. He has also left Kremlík plenty of unfinished work. Due to the nature of the realization of numerous infrastructure projects and other transport projects, Kremlík will either function as “cream-picking” or he will deal with “skeletons in the closet”. Or both from a little bit. With a bit of political skill, which he has undoubtedly accumulated over the years in politics, he could be able to make the perfect combination: to lick the cream and sell Tok’s good steps as his own, and to mark the implications of his own missteps and failures for the skeletons in the closet. While the head of the Ministry of Transport is not yet familiar with the public, the Office of the Minister of Industry and Trade, on the other hand, takes over one of the most media-exposed experts of today. Karel Havlíček from the position of the Chairman of the Board of Directors has been leading the Association of Small and Medium-Sized Enterprises and Tradesmen of the Czech Republic since 2010. He has also operated in the private sector and academia. Until 2017, he held a rather neutral attitude towards the chairman of the ANO movement, Andrej Babiš, and then both of them got closer together. 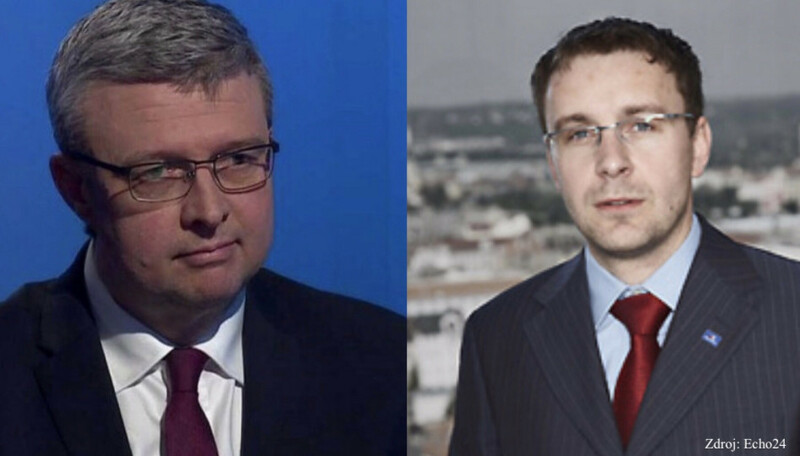 However, even before 2017, Havlíček did not go into any fundamental criticism of Babiš’s steps. For example, from the very beginning, he was an advocate of introducing electronic sales records (so called EET), for which he argued that in the era of continued digitization and electronization it was inevitable. Babiš tested Havlíček on a recent trip to the United States, which included talks with US President Donald Trump. Havlíček is known for being hardworking, so he should not have a problem to catch up with the prime minister. Undoubtedly, Havlíček should be able to move forward the Ministry of Industry and Trade. However, we still do not know whether they will be stronger in the areas where the predecessor Nováková did not succeed, i.e. in the face of a strong lobbying barrier of mobile operators. Undoubtedly, Havlíček is in danger of becoming infamous in this respect.